Is that a zombie dolphin shotgun we're looking at here? 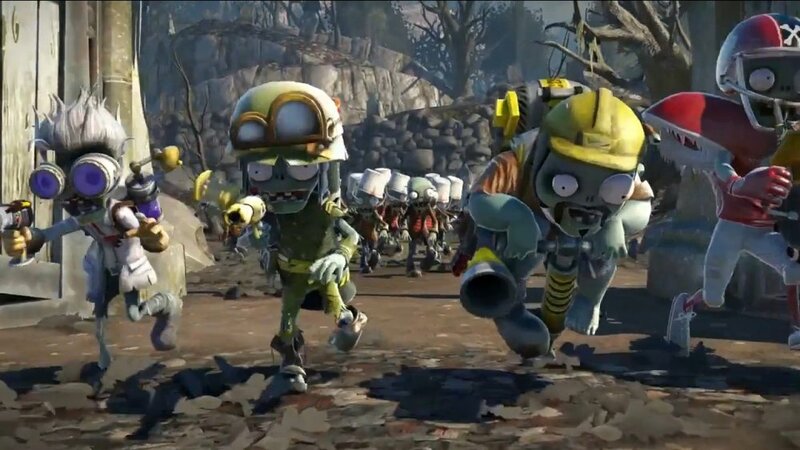 Today, EA released a new pre-order trailer featuring some of the zombie tactics found in Plants vs. Zombies: Garden Warfare. Not only will players be able to choose the Plant team to fight, but also take control of the Zombie team to wreck some havoc of their own. As we have stated a week ago, PvZ: Garden Warfare's Xbox One and Xbox 360 release dates have officially been pushed back to February 25th for those who are interested. While this shouldn't be much of an inconvenience, we hope that all the kinks are worked out by then to have a superb co-op experience.